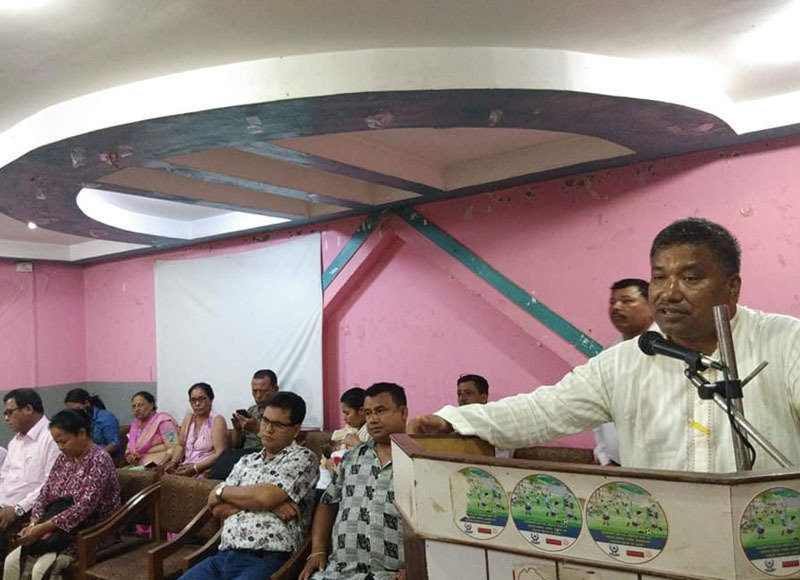 GEFONT President Binod Shrestha said that “Workers must strongly raise the issue of representation in policy making level.” During the Woman Workers Training organised by Province No. 1 in Biratnagar, He informed about the Trade Union movement’s history, struggle and achievement so far. President Shrestha further quoted that “GEFONT is the first organisation with representation of 33 % of woman in leadership and now it has been reached up to 40%.” He praised women for managing their time properly though they have more family responsibilities comparing to men. President also expected that the training will contribute for the women leadership development. GEFONT Vice President ManjuThapa facilitated the training session on Gender Policy.Similarly, Secretary General Janak Chaudhary trained participants about Labour Law and Social Security Act. Meanwhile, Sunil Naupane-Member of GEFONT Publicity and Publication Wing informed about GEFONT activities on migrant workers issues. 40 representatives of the Province No. 1 have participated in the programme.